Too Much Time Getting Pricing Approved? It’s the end of the month, your kid’s game starts in 2 hours, and you’re buried in emails and conference calls trying to get pricing and deals approved. How can you miss another game? This process has been in place since you started this job and it looks like it will continue long after you’re gone. There has got to be a better way! With mobile devices and technology, we are supposed to be a connected organization! We stress to our field sales team that they are empowered to make decisions, yet each month it seems like margins are eroding. Creative discounting is risky, and our competitive advantage and differentiators get clouded trying to close the deal. By the time you get approvals from finance and operations, you are not sure if the business will close by month’s end. Bill Gates in his classic, “Business @ the Speed of Thought” highlights that companies do not know how to use information and technology. Further stating, “Continually evolving the digital infrastructure and information will give you a competitive edge.” This is still true today! What is the best way to streamline this process? There are some notable pricing optimization software solutions on the market, but IT is telling you the idea that managing the master data is a nightmare. There has to be a better way to get this done! So what do you look for in pricing software? Titan’s easyPrice addresses all of these. Here is an example of how easyPrice workflow solves your month-end headaches. In the new world of requiring multiple approvals by different departments, streamlining the approvals improves the predictability of your revenue stream and forecast. Your current workflow requires you to log onto your ERP system, go through a couple of screens, check the price, cost, and margin, then review the documents and approve it. This does work, but you are chained to your desk waiting to approve every deal. 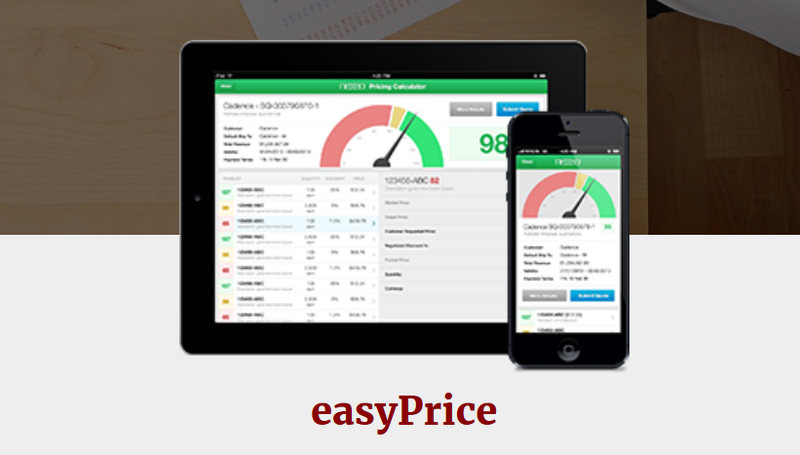 With the Titan Mobile Framework and easyPrice, you accelerate reviewing and approving price/bid quotes or sales orders. For each deal in your pipeline, you get a stoplight icon presenting key indicators such as price and margin. If the light is green, the margin meets your metrics, then on to the next deal. Simple!